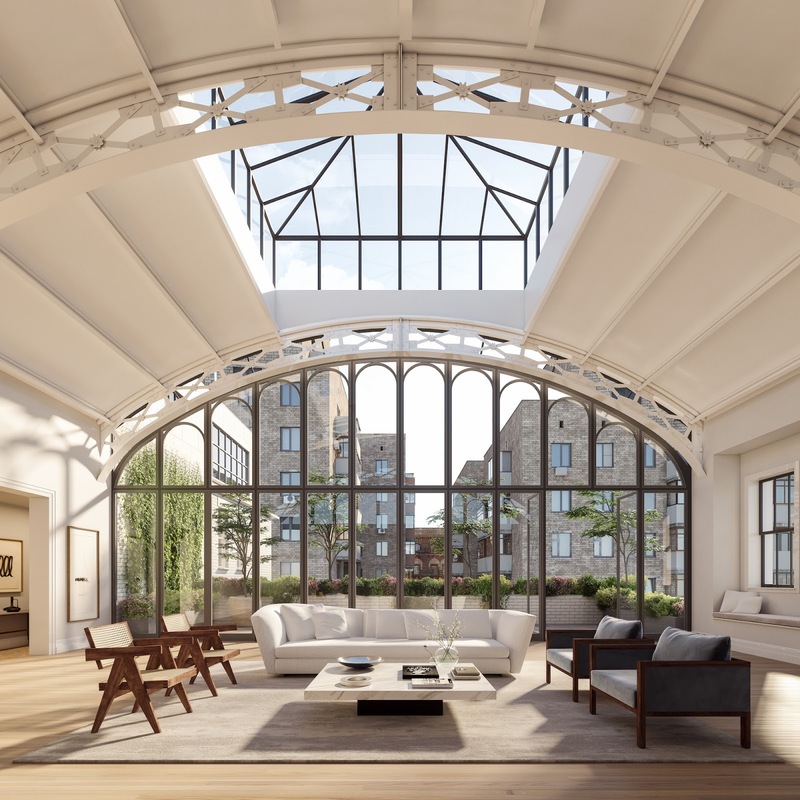 The former St. Agnes Catholic Boys High School at 555 West End Avenue has been converted into a 13-unit luxury condo and is now selling. 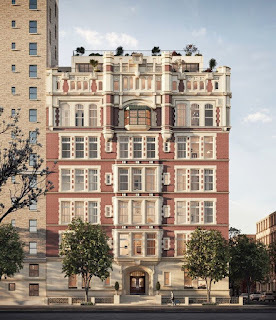 The building's facade remains original 1908 English collegiate- and Gothic-style. 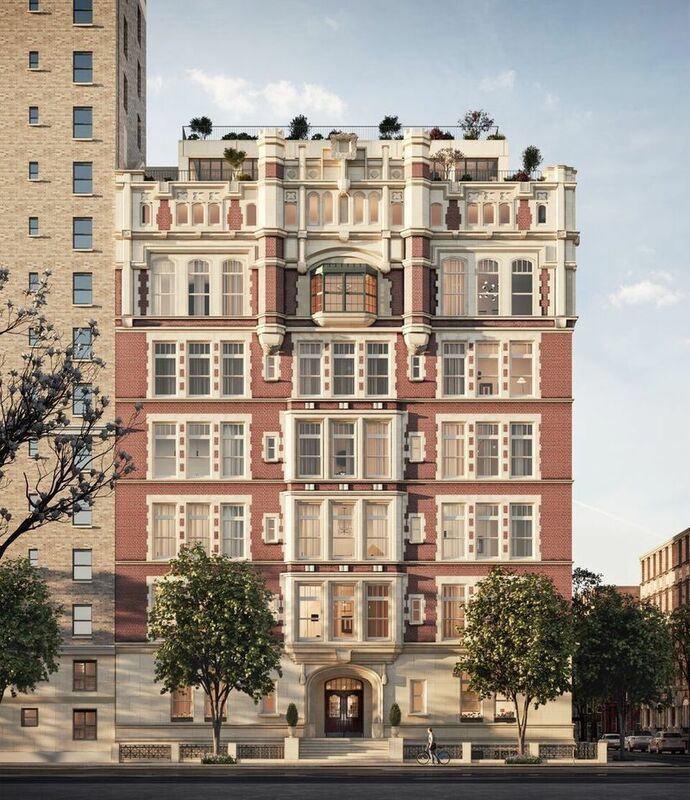 The units listed start at $7.9 million for a four-bedroom 4 bath home, a $10.3 million five-bedroom 4 bath home, a second floor unit called The Library (with 5 bedrooms, 5 baths for $10.5 million and a $18 million penthouse solarium with 3 bedrooms 3 baths in the former high school's gymnasium. 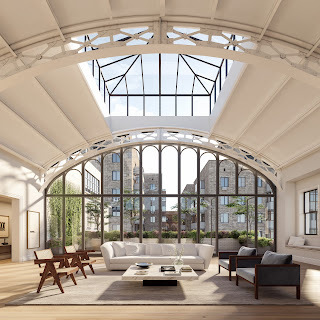 555 West End Avenue, an architectural landmark within the Riverside-West End Historic District features soaring ceiling heights with towering windows. 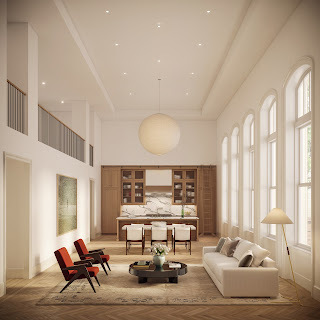 The historic Beaux-Arts architecture features stone facade, limestone bay windows and pre-war details. 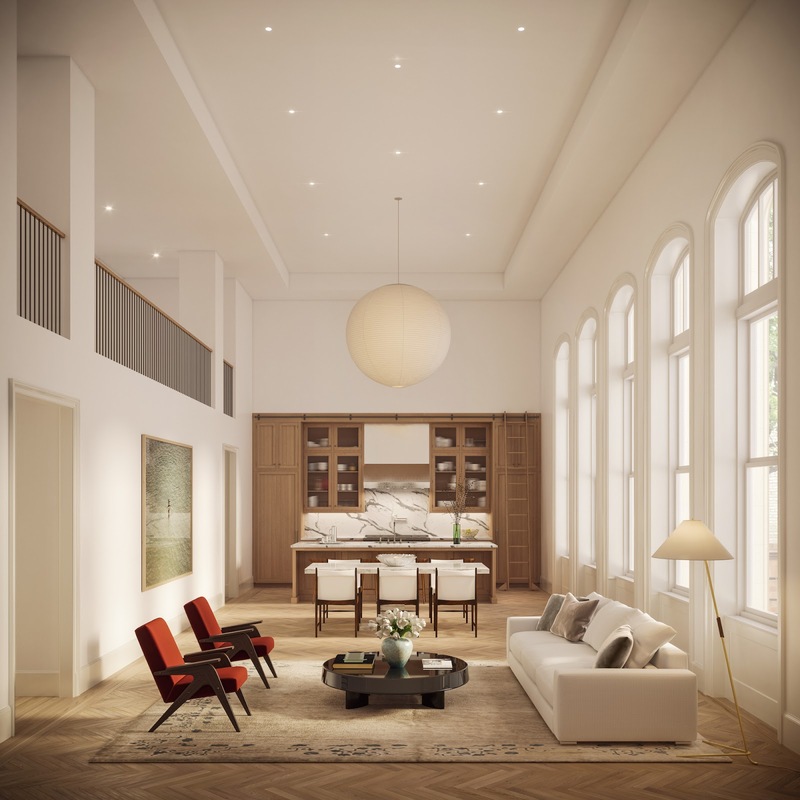 The three- to five-bedroom residences bring together elements of pre-war co-ops, condominiums, urban lofts, and townhouses with large spaces and gracious floor plans. The units have marble slab counters and backsplashes in the kitchen, oak vanities with Calacatta Gold countertops and Italian marble floors in the bathrooms, and white oak herringbone floors. 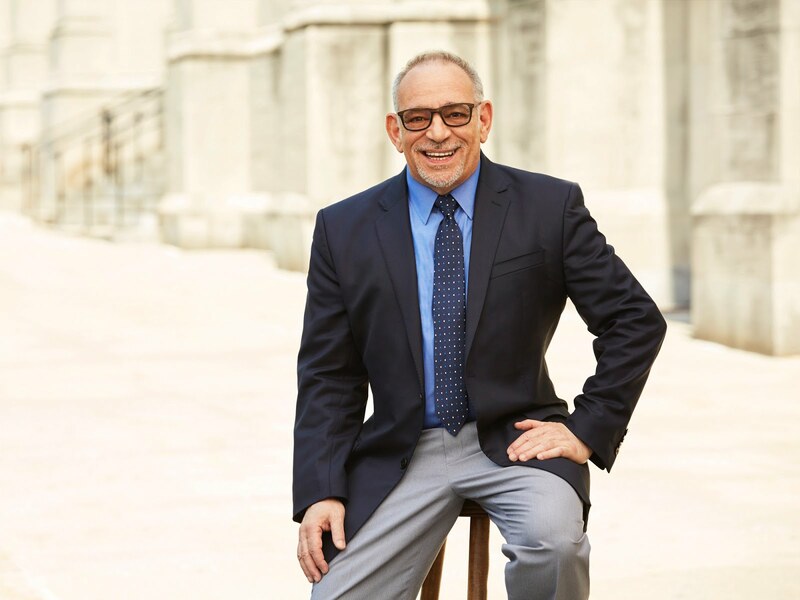 Located one block from Riverside Park at 87th Street on West End Avenue, the full service 24 hour doorman building also offers refrigerated storage, a bicycle room, and stroller valet. Every residence has its own private storage room. A gym features state-of-the-art equipment in a daylit space and a recreation room features a wet bar with stools, a pool table, dartboard, comfortable lounge chairs, and a large-screen TV.